1. Torque classification by color: human factors engineering is also been implemented. Different color represent different torque to prevent improper use. 2. Anti-reversible structure: One way ratchets design keep the product from improper use and SOP for manufacturing process to guarantee the quality and stability of product. 3. Variety of BIT set: the adapter can be applied to different kind of tools, such as manual tool wrench, air impact wrench etc. 4. Overload protection: Slip occurs between the components to interrupt the transmission of power in the event of a torque exceeds the setting preventing the damage of overload. 5. Physics of friction application: Slip occur between the contact regions as the torque exceed the preset value, it stabilizes the torque transmitting to the output component.With all these benefit reduce the cost due to disposable tool during manufacturing process and the damage caused by improper torque transmitting to the screw. With almost 40 years experience, 120s employees, 3,188m² facility and more than 120 units of machineries and testing equipment, CHIENFU-TEC CO., LTD. was dedicated into producing CNC precision machining parts. Under the leadership of the founder and also second generation GM, Mr. Jeff Chuang, we insist providing customers high efficiency, high quality, and high satisfaction with continuous innovation and invention globally. Not only pursues advanced technology and RD capability by applying numbers of patents in USA, Germany, Japan, China and Taiwan, but also has passed the international quality management system ISO9001 authentication and QC080000 RoHS certificate from ECCB in 2007 for our quality assurance. 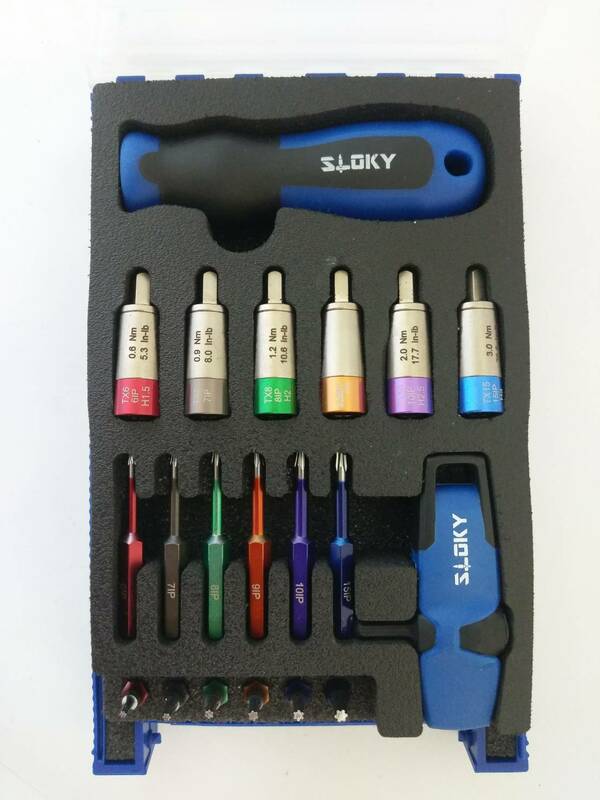 Sloky Torque Screwdriver; change how we fasten the cutting tools, standardize for fastening. The one and only torque screwdriver designed for CNC machining, turning, lathing and milling application. Sloky torque screwdriver, a predictable, replaceable and organized tool. It is considering to be used in industrial field having a greatest advantage of "no-over tighten". It prevents the damages of the screw and tool, in addition it provides a replaceable function to fit with driver bits having different shape and dimensions. Easily customize from 0.1~6Nm with small MOQ required for Shooting/Hunting, Circuit board, Tire pressure detector, Bicycle, DIY Market, Drum, Lens, 3C devices and Golf Club. User friendly for CNC cutting tools of machining, lathing, turning, and milling parts.